Seemingly very utilitarian in its design, the Roman Waterbag nonetheless offers itself to a variety of contemporary uses. 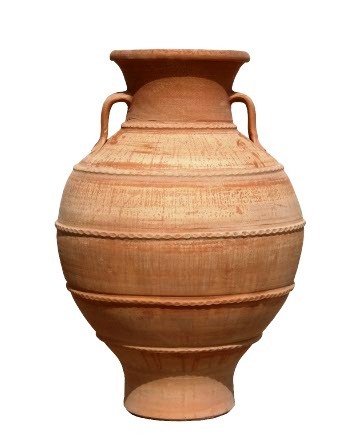 Whether as planter, water feature or decorative focal point, this pot will always work hard for its living - just as it had to for the Roman legionnaire. 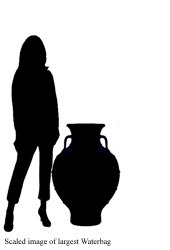 Keats - "Ode on a Grecian Urn"